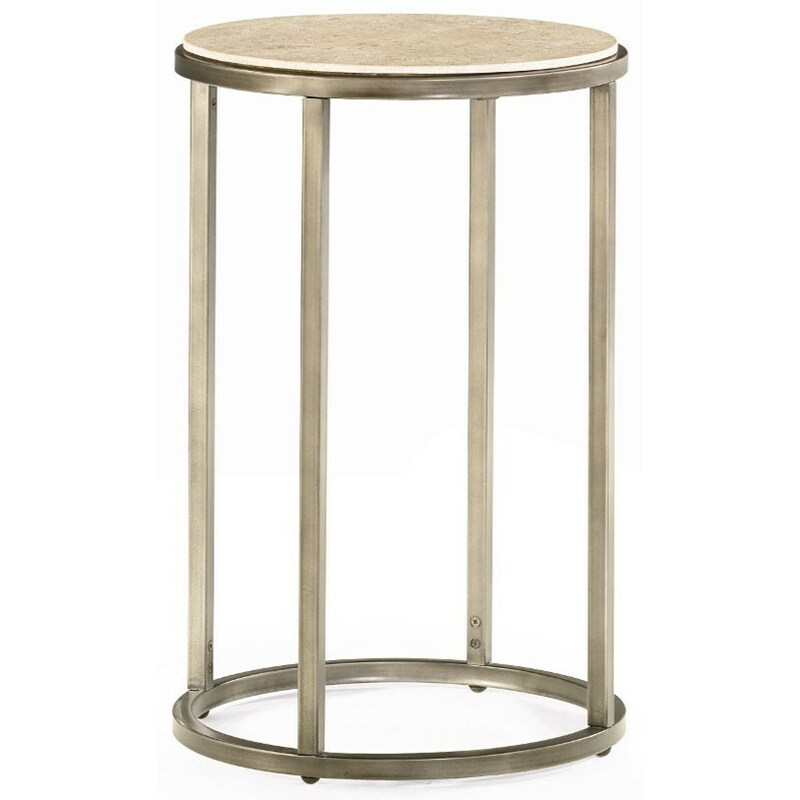 Furnish your living room with an end table of simplistically and sophistication. 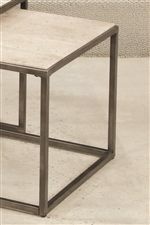 The modern blend of a clean lined Bronze frame and a round Natural Travertine table top adds to the contemporary feel of the space. Use as a place to set a lamp, accessory or even beverage. The Modern Basics End Table by Hammary at HomeWorld Furniture in the Hawaii, Oahu, Hilo, Kona, Maui area. Product availability may vary. Contact us for the most current availability on this product.